On March 18 elderly residents of Soseong-ri, South Korea (a village in Seongju County just 2 miles from the deployment site) joined the national peace march of more than 5,000 people against THAAD (Theatre High Altitude Area Defense). These people who live near the THAAD deployment site are mostly melon farmers who used to be 85% in favor of the right-wing ruling government. Since the decision was made to deploy the so-called 'missile defense' system in their community they quit the right-wing party and joined the peace movement. One of their leaders will be speaking in Huntsville on April 8 at the Global Network space organizing conference. The THAAD 'missile defense' system is built in Alabama and has been deployed in South Korea in recent days. THAAD is also currently deployed in Guam and the Pentagon will soon be undertaking a THAAD testing program at a launch site located on Kodiak Island, Alaska on what used to be a pristine nature preserve area. Navy Wants to 'Give Back' to Jeju - In That Case Just Leave! The Odessa Solidarity Campaign is calling for an International Day of Solidarity with the People of Odessa on April 10, 2017, to draw attention to the Ukrainian government’s repression of anti-fascist activists in that city. We are calling for rallies, vigils and demonstrations outside Ukrainian embassies and consular offices around the world. April 10 is a date of great significance to all Odessans, as it marks the day in 1944 when Odessa was liberated from years of fascist occupation. It should be noted that, despite many videos taken of the fascists participating in the massacre, not one of those responsible for the murders has ever been brought to trial, while many anti-fascists arrested that day are still in prison, many never having been charged with a crime. Free Alexander Kushnarev, Anatoly Slobodyanik & all political prisoners in Ukraine! No to fascism in Ukraine & all over the world! 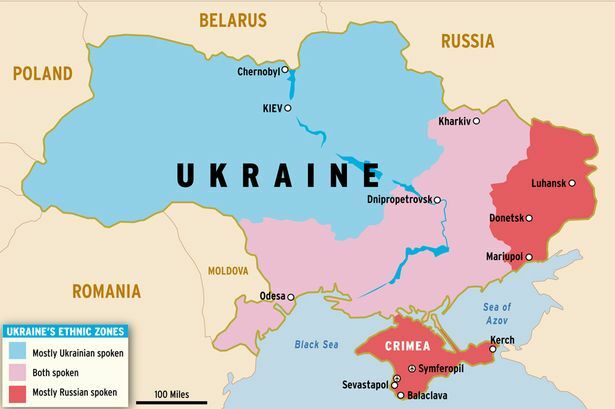 The Odessa Solidarity Campaign is a project of the United National Antiwar Coalition (UNAC). It was founded in May 2016 following the second anniversary memorial of the massacre of May 2, 2014. A delegation of UNAC members from the United States attended the memorial, which was held at Odessa’s Kulikovo square. These space warfare proponents are crazy and have their greedy hands on the national treasury. But still that is not enough money for them and now these aerospace industries are rounding up the international allies to help pay for the US Star Wars program. 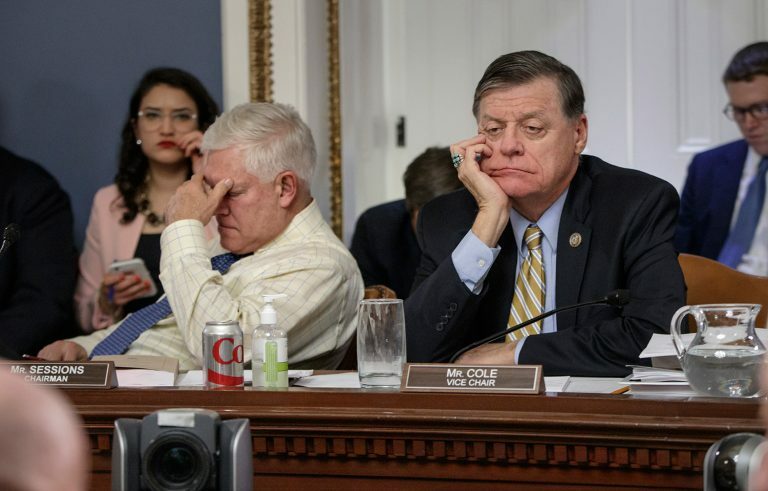 After eight hours of debate, House Rules Committee Chairman Pete Sessions, R-Texas, left, and Rep. Tom Cole, R-Okla., the vice chair, listen to arguments from committee chairs Wednesday as the panel meets to shape the final version of the Republican health care bill. 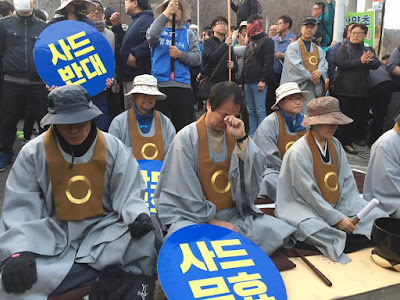 "At some point we have to cowboy up and prove we can govern"
Heavy handed tactics were used by the police and the security state in Seongju yesterday, March 18 to remove Won Buddhist monks and their Peace/Prayer Tent situated at the entrance to the Lotte Golf Club, the proposed site of THAAD 'missile defense' (MD) battery, which is being vigorously and nonviolently resisted by the Won Buddhists (who have a sacred site and place of pilgrimage in the area) and other civil and religious groups from around the country. 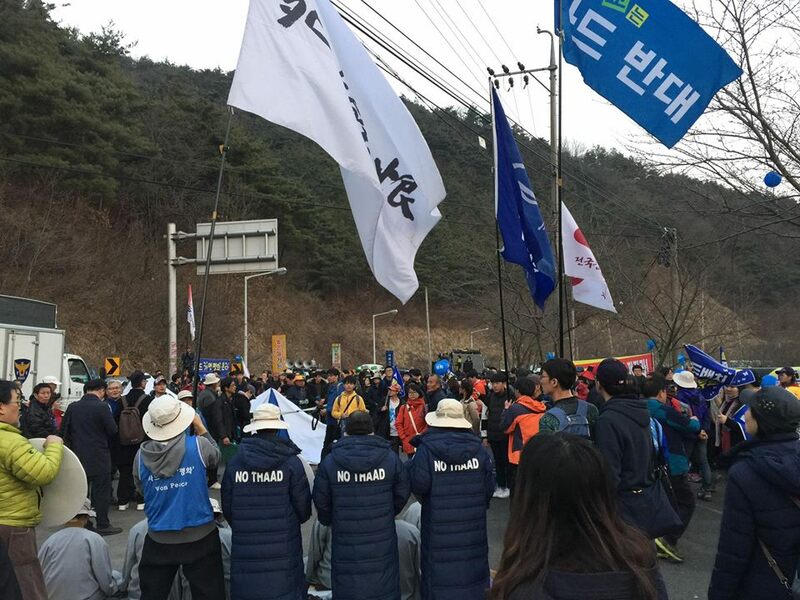 March 18 was the first day of the Peacebus and afforded up to 5,000 people from around the country an opportunity to come together in solidarity with the local villagers in walking for peace and resisting THAAD. Yesterday happened to be the 249th day of candle light vigils and the Columban's [Catholic order] were happy to join peace/labor/environmental/religious activists to be present and walk in solidarity with the local villagers during these very tense and dark days on the peninsula when the drumbeats of war and military buildup have seemingly taken on an inevitability with military exercises and recent visits from US Secretary of Defense and Secretary of State stating that the possibility of a military strike against North Korea could not be discounted. This warmongering was countered by community leaders and their message of peace and dialogue built on a relationship of mutual trust that should be promoted by the next political administration. The message was loud and clear - 'THAAD is not inevitable or unavoidable - it will not be deployed and all peace loving people should resist its installation with all their might'. This spirit of nonviolent resistance was on display yesterday when the monks and their supporters/activists successfully resisted police attempts to demolish the tent and ensured that it was hastily re-erected in order for the peaceful resistance to continue. There will be more candle light vigils and protests in Seoul and Seongju in the coming weeks and months. The Catholic community in Seongju will continue with weekly Wednesday mass and prayer vigils in the village of Seosongri. Recently, a man in Bath who currently works at Bath Iron Works (BIW) told me, “We can’t afford to keep building these expensive Zumwalt destroyers.” The ships are now coming in at more than $4 billion per copy. He later told me that he no longer knows whom to believe as he watches Trump and the Democrats battle with one another. I told him he isn’t alone and is smart to mistrust all that is going on in Washington these days. The corporate oligarchies internal power struggle is not considering the well being of the public. We the people have got to come together and fight for our children and grandchildren who are being left with an economic and environmental mess to handle. In early March I had to leave our Bath "Zumwalt 12" trial a day early to attend a conference in Sweden. After that event I did a speaking tour throughout Scandinavia and ended it in Copenhagen, Denmark. I was quite impressed to see the many offshore wind turbines in the waters between Sweden and Denmark as I rode a high-speed rail system over a bridge connecting the two nations. Very recently I read an article that reported on Gov. LePage’s failure to create more energy for our state and to lower our energy costs. The governor’s plan to expand natural gas capacity in Maine has stalled, a good thing considering the fact that we must move away from fossil fuels if we hope to successfully deal with global warming. LePage’s wrong-headed stands against rooftop solar and against greater statewide emphasis on energy efficiency is a direct threat to our future generation’s chances for survival. From what I can see, the governor has also done little or nothing to promote public transportation across Maine. 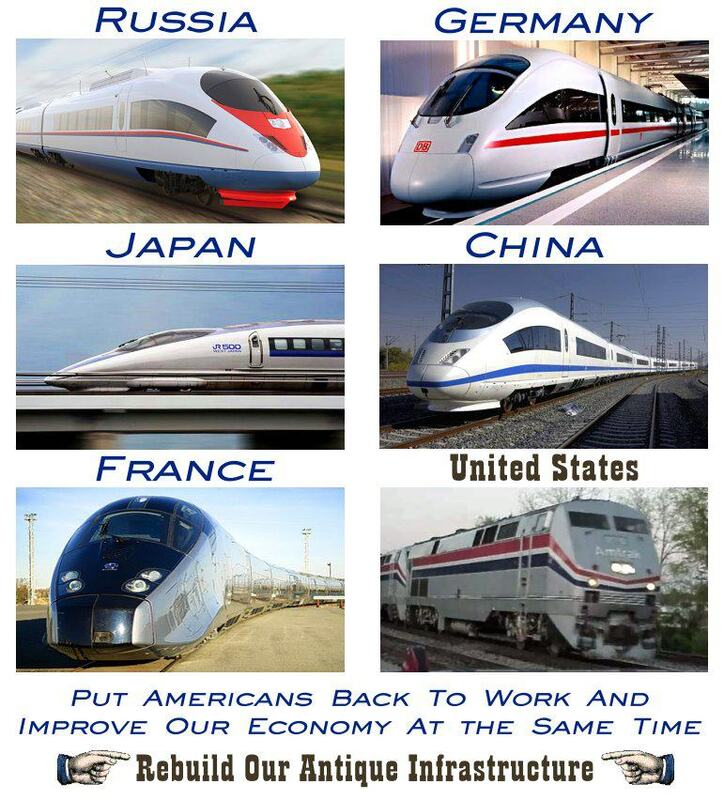 A commuter rail system from Portland to Bath would go a long way in reducing our state’s carbon footprint. Studies from UMASS-Amherst Economics Department have long revealed that building a commuter rail system at BIW would double the existing work force. The cost of one Zumwalt-class destroyer could surely build a world-class commuter rail system for Maine. And shouldn’t creating clean energy jobs be a priority in our state? I don’t hear any of our elected officials pushing for that. If Sens. Collins and King really wanted to create jobs and deal with global warming this would be the way to go. 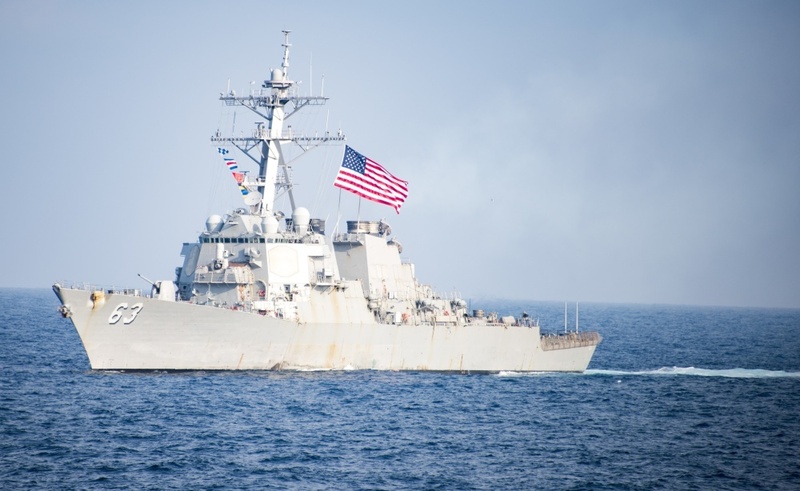 On April 1 there will be a christening at BIW as another destroyer (outfitted with missile defense interceptors) is commissioned. Peace groups from across Maine will once again hold a non-violent protest at the shipyard gates demanding that we end our wasteful addiction to militarism. We will call for the conversion of BIW to building commuter rail, wind turbines, solar and tidal power systems. My son recently got married and he and his wife are likely to have children in the near future. I am focused like a laser beam on wanting to ensure that my descendants, and all future generations, have a real chance of survival on our Mother Earth. Building more warships, which dramatically contribute to the Pentagon’s number one global carbon boot-print, won’t cut the mustard. We should all care about preserving life on this fragile planet. Thus we must continually demand an immediate switch from endless war making to sustainable production that helps us deal with our real enemy today – climate change. 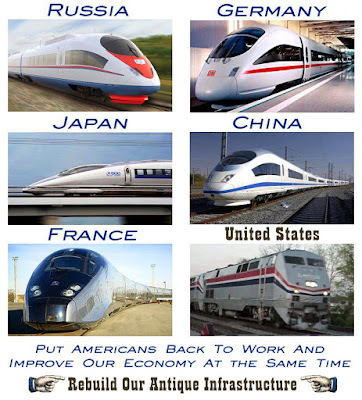 Let's build these at US weapons production facilities across the nation rather than having endless wars to control oil. This won't happen unless we demand it repeatedly! Those 'brave' western Ukrainian Nazis (armed, funded and trained by US-NATO) continue with their shelling of their fellow citizens in eastern Ukraine. The training base in western Ukraine has rotating US Army Special Forces soldiers from Fort Carson, Colorado there teaching the Nazis the 'fine art' of warfare. I know this to be true for two reasons: first I've seen the base in operation on video which you can watch here. Secondly, I have a friend whose son is stationed at Fort Carson in the Army Special Forces and at this moment he is at this training base in western Ukraine. So in the video above the 'brave and valiant Nazi forces' shelled a kindergarten and 15 civilian homes. Attacking unarmed and innocent senior citizens and a school - this is what the US is teaching its allies in Ukraine to do. That in my book is terrorism - simple and easy to understand. And dammed sicking as well. Thank god they attacked at night when none of the children were taking naps at the school. A small blessing indeed! These are the lengths the US is going to in order to try to destabilize Russia in order to force regime change in Moscow. 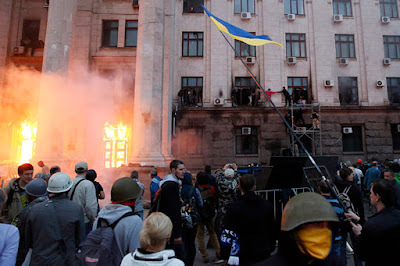 The crime of these Ukrainian citizens living in western Ukraine? They live near the Russian border and speak Russian as their first language. It's all sick - very sick. All Americans should be outraged and ashamed of what our country is doing in Ukraine. Jean-Luc Melenchon is a leader of the Left Party in France and is currently running for president. Mélenchon passionately defends the idea of a new Republic that gives power back to the people and abolishes the “presidential monarchy”, wants more fiscal justice, a review of the European treaties to put an end to “austerity policies”, and a new ecological order which would see France drop nuclear power. French voters go the polls on April 23 and May 7 in the two-round election, which is being closely followed outside France as another test of popular discontent with traditional parties and institutions like the European Union. Emmanuel Macron, former investment banker and economy minister running as an independent centrist, remains the favourite to win France's turbulent presidential election race. Macron would lead first-round voting with 26.5 percent, just ahead of populist leader Marine Le Pen at 26 percent, before beating her 64-36 in the run-off, according to the Odoxa poll. 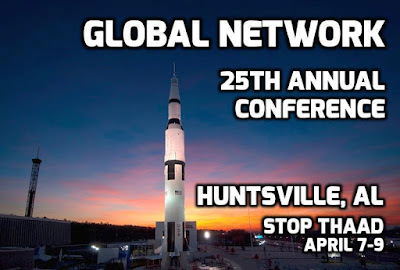 We are excited to share a short video that has just been made by our friend Will Griffin (Veterans For Peace) from Georgia about Huntsville, Alabama and our upcoming Global Network annual space organizing conference. Will is an Iraq and Afghanistan veteran and I’ve had the great pleasure of traveling with him to South Korea, Okinawa, India and Nepal. Last month Will made a trip to Huntsville to do some advance work for the conference and produced this video.